If your future includes a move to Lake Forest, check out Meathead Movers! Our professionally trained student-athlete movers, moving concierge, and princess packers are prepared to get you safely moved into your new Lake Forest home. 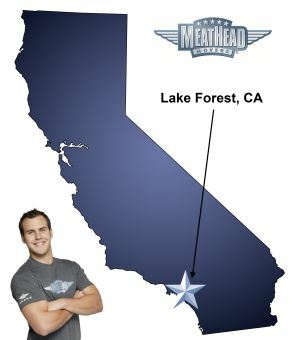 When you make your move to Lake Forest, be sure to contact Meathead Movers. No matter what type of moving service you need, our student-athlete movers are ready to handle all your moving needs. Make the transition to your home stress-free. Home of Oakley sunglasses and the famed Saddleback Church, Lake Forest is one of southern Orange County’s most popular communities. If you’re moving to Lake Forest, you’ve chosen a community with excellent schools, safe neighborhoods, and great outdoor recreation facilities. Our Lake Forest movers can make the transition to your home stress free by taking care of packing, loading and unloading all your belongings. Incorporated in 1991, Lake Forest is one of the oldest communities in Orange County. Some of the buildings were constructed by the first Spanish and California settlers in the area and are still standing—and open to the public—today. Among the most popular is the Serrano Abbey in Heritage Hill Historical Park. Lake Forest is also located just a short drive from some of Southern California’s most stunning beaches. Those who enjoy being outdoors can explore in Whiting Ranch Park, a nature area that lies in the eastern part of Lake Forest. The city is also home to Etnies Skate Park, one of the largest skate parks in the country. Great schools also attract many families to this Orange County community. Lake Forest High School is considered one of the best in the state. Of course, settling in with kids after a move can be difficult, but this area eases the transition. At Meathead Movers, we truly care about helping your family make the switch, so we offer a complimentary moving concierge service. This service helps connect you with trustworthy and reliable babysitters, housecleaners, landscapers, and any other service you need, that way you can focus on transitioning your family to your new home. As your Lake Forest movers of choice, we take pride in providing reliable services to individuals and families throughout California. All our movers are student athletes who are committed to making the most of your time and money. When we aren’t carrying your boxes, we will be jogging, to make your move as fast and efficient as possible. Moving to Lake Forest should be an exciting time. Instead of stressing about how you are going to get all your belongings from point A to B, let the professionals at Meathead Movers help. With our Princess Packing services, we ensure that even your most fragile and valuable items will make it safely to your destination. We take care of every facet of your move, from putting items in boxes to unloading them at your new home, and we are proud to be your trustworthy Lake Forest movers. Contact us today to schedule a move or get a free moving quote. Moving to Lake Forest? Here are some helpful resources. View more Lake Forest resources. Very nice experience. Nick and Jaime were on time, professional and courteous. Prompt, friendly, professional, efficient and completed the job under estimated cost...what more can you ask for? Efficient, Fast, Friendly, Professional, and overall Excellent Moving Experts!